Since the health service was established, tensions have existed between patients, physicians and policymakers. This has partly centred on resource availability, deployment and demand. But, following a recent experience, I’ve realised that if better integrated into day-to-day NHS practice, carers could represent a means of reconciling these tensions. A few weeks ago my mother fell down the stairs and attended A&E. It was an incident that caused me, as a doctor, policy advisor and most recently a carer, to experience these tensions first hand. She was found to have fractures of the transverse processes in her lumbar vertebrae, being discharged with painkillers and recommended four weeks rest. Only days later, while I was staying with her, she experienced episodes of dizziness, palpitations and tachycardia. Following assessment by a paramedic, it was recommended she attend A&E, again, to exclude cardiac sequelae or an internal bleed. My mother was seen in around three hours. Her examination, blood tests and ECG were normal. The consultant suggested that while an internal bleed was unlikely, it could only be excluded via imaging. They advised she return home and if symptoms recurred, a CT scan would be conducted to enable a more detailed assessment. She was discharged. As I reflected on this experience I felt conflicted. Waiting in A&E was agonising; every hour that passed seemed too slow. Once my mother was assessed, part of me couldn’t help wondering whether a CT scan should have been conducted to exclude anything more serious. As a patient’s relative you always want the best, and possibly the most healthcare. After her discharge, I knew my mother wouldn’t be able to cope alone. I commuted to work from her home, rotating on alternate shifts with my aunt to ensure someone was always with her. It’s this home-care that supported her rehabilitation, more than the hospital-care she received. In contrast, the doctor in me thought a thorough assessment had been conducted and red flags excluded. Management would be conservative, focusing on pain-control that could be delivered at home. Did she need a CT scan? Amid hospital-demands for high-resolution imaging, this was a low priority case. From a policy standpoint, quite simply, the four-hour wait had not been breached. This was on a background of 1.9 million attendees nationally to A&E in January alone – a 10% increase in demand compared to last year. Despite these pressures, my mother was treated within the expected boundaries of care we aim to provide in the NHS. There were no unnecessary admissions. She was seen promptly, on-demand, and in a manner exceeding international standards. An example of an effective, efficient NHS operating as it should; free at the point-of-access, universal and integrated. The optics of these three lenses, however, don’t seem to converge. Are patient expectations too high? Are resources too limited? Do we need better alignment between patients, professionals and policymakers? Resource availability and demand do underpin some of these tensions. What became clear to me was that the real NHS happens at home and it could be better coordinated. Home-care is more comfortable, preferable and affordable. It’s a patient’s social fabric; their friends, families and carers, who are best-placed to support their management and rehabilitation. This is what hastens recovery, while preventing admission. Care must – and is – moving from hospital to home. Indeed, seeing my aunt care for my mother made me confident that it’s carers who are the unsung heroes of our health system. From helping with day-to-day amenities, to assisting with medication and mobility – carers are uniquely positioned to transform a patient’s healthcare experience. Despite this, in A&E I received no guidance as to how best care for my mother. From a national perspective, there are over 6.5 million carers in the UK, up by 10% over the past 10 years. Of these, 1.4 million are unpaid. Clearly this is a significant resource. Yet, their efforts seem under-coordinated and detached from the NHS, at a moment when service pressures and the need to integrate resources couldn’t be greater. This must change – the time that carers succeed because of, rather than despite the NHS is now overdue. As we look to make current services more efficient, we could also see how resources beyond primary and specialist services, such as home-carers, could be better integrated and coordinated, perhaps using technology, to resolve tensions across our health system. Dr Mahiben Maruthappu is a practicing doctor and Senior Fellow to the CEO of NHS England. He advises on NHS England’s innovation, technology and prevention portfolio, co-founding the NHS Innovation Accelerator and the NHS Diabetes Prevention Programme. He has advised a range of organisations, from start-ups to multilaterals, including the Swiss government and the Experiment Fund and the WHO. Mahiben has a strong interest in research with over 80 peer-reviewed publications and 50 academic awards. His work has been featured by BBC News and the international press. He is Chairman of the UK Medical Students’ Association (UKMSA), and has written three medical books. 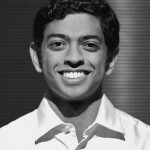 Mahiben was educated at Oxford, Cambridge and Harvard universities and was the first person from British healthcare to be included in Forbes’ 30 under 30. Case 1. A very similar case to your mother, I visited a 93y man living independently who fell 10d ago “processed” through A&E, discharged with family moving in. Sadly the “system” failed to inform the patient (or put in preventive measures) that codeine constipates you hence my visit and some complex bowel care I performed at home. Nevertheless the patient remains there and after the usual “administration”, (email, telephone call ,fax and a drug chart to be delivered back to the patients home) district nurse support was in place to follow up. For this patient an admission averted but it could have been so different. Case 2. Last weekend a vulnerable 90y patient with complex problems was admitted OOH and yesterday I received a call from the husband (and carer) upset at his wife’s distress in hospital. She was on a ward very anxious predominantly because she did not have access to her inhalers as she would at home. I called the Ward Manager last night and asked if she could be allowed to self medicate for this. As part of a discharge enabling project our practice has initiated I had already emailed my specialist colleagues an admission summary. This was personally acknowledged this am by the consultant who had been responsible for the patients care on admission but advised that as a result of the usual “musical beds” the patient had been transferred to another consultant on another ward etc. Last week with my clinical colleagues in the practice we organised our patients who attended the AGM of our Patients’ Association (50 in number) into small groups where we asked them to share with us experiences with health or social care that had made a difference. You will not be surprised to hear that this took on a very non-medical model and reinforced the importance of caring, carer support and time that valued the individual. We took away many reflections. In summary it is continuity of care (and records), valuing patients and carers and helping with social support that really makes a difference. As a GP with a special interest in older people I recognise the problem is only starting when they attend A&E and there is no pride to be taken in achieving 4h waits and admission avoidance if the patient and carers are sent home unsupported and vulnerable. Not only are they often needing to manage problems that are outside their competencies but also to manage the hidden and all to often avoidable consequences of “medical management”. We need to look at new models of care that place the patient at the center, allow for feedback, reflection and learning when systems falter and celebrate success when we really do make a difference. Only then will patient “journeys” within the health service change and the community again become valued as an exciting and rewarding place to work or volunteer. Maybe physical health services have something to learn from the approach taken by mental health services where forming partnerships with and empowering carers is more part of the culture? Thanks you Dr for sharing your story – which is very similar to my own mothers. After illness and the loss of my father she become increasing frail, fragile and suffered a great loss of mobility due to severe back injury. In Dec 2014 her family didnt believe that she would bounce back and be able to live independently again. However, family members took turns to stay overnight for over 12 months (this was supported by a care package which included 3 visits a day, enabling us all to continue working). This ensured that the support and care was there when she most needed it which in turn boosted her confidence. She now spends 1 or 2 nights alone in her home but we are still staying with her – as its very nice to spend time with your Mum/Nan! The hospital, GP & carer teams have contributed but it is the family support that I believe has brought Mum back to us. Maybe we as a society need to look more to old style resolutions to problems (ie. take some responsibility and accountability for outselves) and not expect the public sector – the NHS in particular – to care for our relatives when we can in fact delivery the best and most useful care outselves.